Inspire artists in your classroom or home. 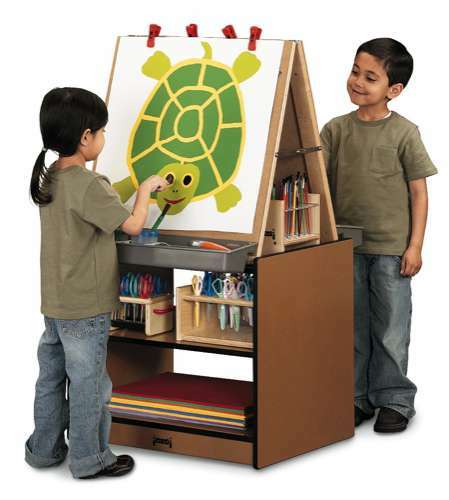 This dual, environmentally friendly art station is made from recycled wood fiber; the benefits of green products includes encouraging better air quality through use of recycled materials, which leads to decreased illness. 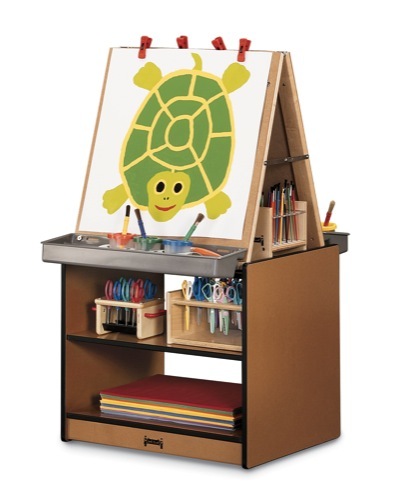 This double sided easel includes shelves and storage for all your art projects and supplies.